Leave a Comment on Can Oak trees provide us a useful food source? As A Way To Introduce You To Skilled Survival, We’re Giving Away Our Family First Food Planning Guide. Click Here To Get Your FREE Copy Of It. The post How To Harvest, Process, and Eat Acorns With Ease appeared first on Skilled Survival. Heating a greenhouse helps protect plants from the ravages of the harsh winter weather. However, it can cost an arm and a leg trying to do so. Wondering how to heat a greenhouse in winter? Read on to find out! 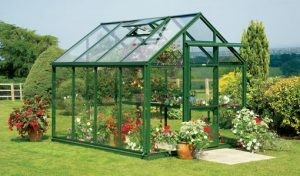 Greenhouses provide the means to prolong the growing season and create an ideal environment for plants that require more heat during cold seasons. They work by trapping the warmth emitted by the sun using layers of greenhouse grade glass or plastic. The trapped warmth helps to extend growing conditions by providing warmth for the crops. 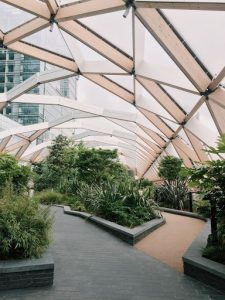 During winter, warmness can be lost through various ways making it hard to maintain the optimum temperature for growing plants in a greenhouse. For many growers, it is not economical to heat a greenhouse with electricity since the cost can sometimes be higher than the value of the plants. Fortunately, there are several ways in which you can build a winter greenhouse without adding to your energy bill. 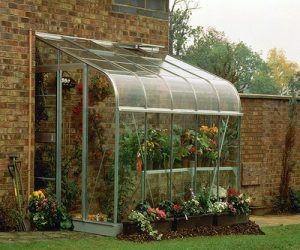 Let us consider some easy greenhouse ideas and affordable techniques to heat your greenhouse without electricity. 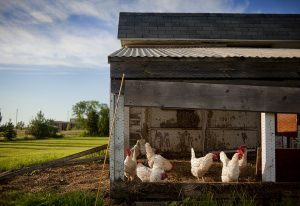 Greenhouses, hoop houses, and cold frames depend on passive solar heating to keep the temperatures up. The heat radiating from the sun penetrates the plastic or glass and is trapped in between the panels. For this to work, your greenhouse must be strategically placed to capture the maximum amount of solar energy. Most scientists recommend that the greenhouse is oriented towards the south. In addition to that, you must use materials that allow most of the light in such as poly-carbonate products. Next, you must insulate your greenhouse to prevent heat loss. 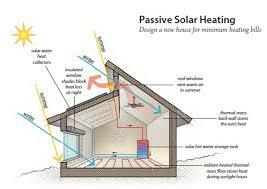 Finally, for your passive solar heating system to work, you must have a way to store the heat absorbed during the day and release it at night. Heat sinks are one of the best tools to serve this purpose. Heat sinks use water to trap warmth and release it slowly. 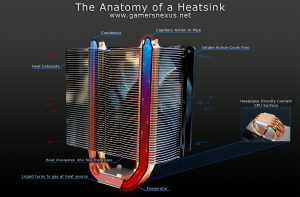 There are numerous advantages to using water for heat sinks. One of them is that water can hold up to four times more heat than air. It is readily available and a more economical way of heating without electricity or gas. At night, as the temperature plummets, the heat absorbed by the water vessels is lost into the greenhouse. Therefore, the temperature inside the greenhouse is a few degrees warmer than the outside, even during cold months. All this without electricity! 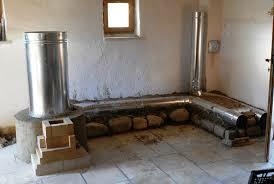 Another method of trapping heat without electricity is using concrete or rock. 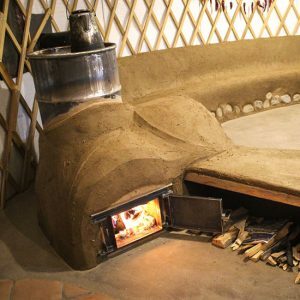 The concrete acts as a thermal mass to absorb heat. It is best placed at the wall opposite to where the sunlight penetrates through the plant house. The release of this heat helps to keep the plants warmer during the cold winter season thus efficiently playing the role of electricity at a much cheaper price. Building indoor compost is an easy greenhouse idea. It is cost effective and uses the readily available organic material. The bacteria that break down organic material generates a considerable amount of heat that can be circulated throughout the greenhouse. Wondering how to produce heat without electricity? Well, the compost heating system relies on heat exchange. Tubes filled with air or water is buried beneath the compost pile. Compost will not only heat your plant house but also contribute to the fertility of your soil, thus offer you the best greenhouse conditions. 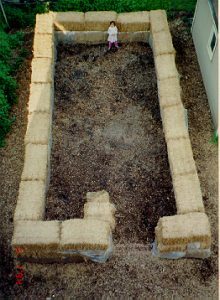 The disadvantage with this method is that a large compost pile is needed to generate enough heat for the greenhouse. 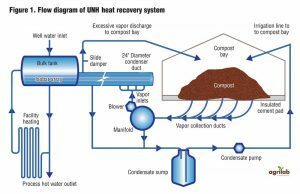 Therefore, composting is a heating solution that is more effective in farms with large amounts of organic waste. Another technique to utilize compost is the hotbed technique for small-scale farmers. It involves digging a pit, preferably two feet deep and six feet wide. 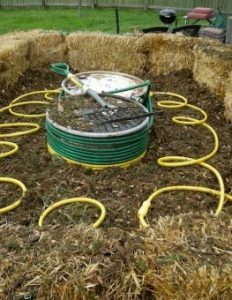 Then fill the hole with manure, wet it and let it sit for a few days while frequently turning the manure. Once it is hot, cover with soil and plant the seedlings you want to grow in a greenhouse. A rocket mass heater is a high-performance burner that is encased with a thermal mass such as ceramic, brick or stone. As the rocket mass heater is being heated, it transfers heat to the thermal mass which retains the heat hours after the fire is extinguished. 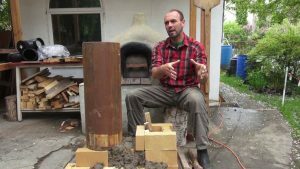 The burner uses wood for fuel and is up to eight times more efficient than a conventional stove. Combustion in the burner is complete due to the increased draft in the burning chamber. For this reason, it is environment-friendly since it uses less amount of fuel and produces less smoke. Therefore, it is an effective way of heating without electricity or gas. Keeping your greenhouse warm is crucial if you want your plants to survive the winter. 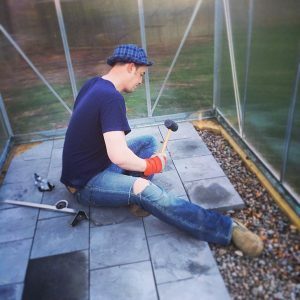 Since now you are well versed with the different techniques of heating a greenhouse without electricity, experiment and see what works best for you. Observe your greenhouse and know where you can make adjustments or additions. You can also combine several techniques for more productive results. Did you benefit our tips on how to keep a greenhouse warm in winter helpful? Any more tips on how to heat a greenhouse in winter that you can add? Let us know in the comment section below. Author’s Bio: Tommy is a content writer and gardener. He studied landscape architecture at the Cornell University. Apart from writing and garden he loves sport, travel and even craft. Find him on LinkedIn. 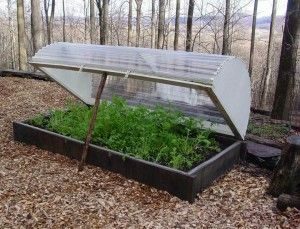 The post How to Heat a Greenhouse Without Electricity appeared first on The Prepper Journal. Leave a Comment on Are you truly prepared? I grew up in a fairly sheltered environment, most of the time living in a small town atmosphere. I was taught to work hard, and to be prepared. It wasn’t a SHTF scenario, but was taught that we need to be self reliant, and that meant having storage of food and other necessities to last for several months if necessary. As it turns out, the storage was not needed when I was growing up, but it certainly came in handy when, as a young married adult I was injured and unable to work. With a wife and a few small children it was reassuring to have food, toiletries, paper goods, and cleaning supplies to keep us going until I was able to provide once more. Now, with all of the natural disasters and world-wide political unrest, it seems that being prepared to survive whatever comes our way would be prudent.